A perfect blend of contemporary architecture, stylish design, and high-end finishes, this brand new family home will offer its owners a sublime sanctuary across a single level layout that includes an open plan living domain, media room, ambient indoor/outdoor entertaining and plentiful bedroom accommodation. Wonderfully positioned in the family-focused Seaside Estate and surrounded by quality homes, it offers a relaxed and easy care lifestyle minutes away from the seaside hamlet of Stockton, quality schools, pristine beaches, everyday essentials and Williamtown airport providing an easy getaway to travel. * Brand new master built home by Impact Homes. * Ducted air and quality appointments throughout. * Superb open plan living for a relaxed family lifestyle. * Separate media room adds versatility. * Modern kitchen with stone benches and Smeg appliances. * Sheltered alfresco retreat connects with living domain. * Four generous bedrooms, each featuring built-in robes. * Master boasts a luxe ensuite and walk-in robe. * Level block with plenty of room for children and pets. * Close proximity to Stockton Beach with 4WD access. * Short drive to Newcastle CBD, quality schools and beaches. 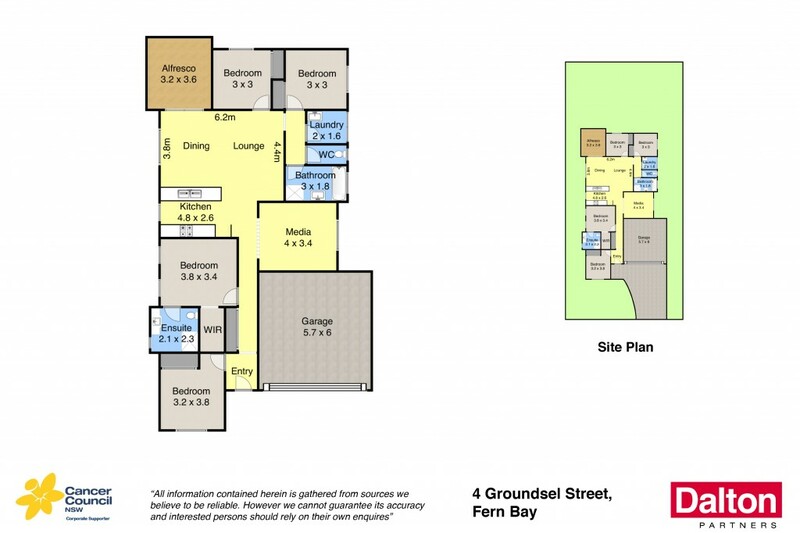 * Check out the link below with more details about Fern Bay.